A Jonesboro man received citations after his dog bit a boy in the throat. Police were called to Fire Station #3 on Brazos Street Monday morning. Officer Jeff Moore spoke with a woman who said her 12-year-old stepson had been bitten in the throat by a dog. He was taken to a Jonesboro hospital and later that afternoon transferred to the intensive care unit at Le Bonheur Children’s Hospital in Memphis for treatment, according to the incident report. The officer identified the dog as a “brown and white male PIT BULL TERRIER.” Police determined the owner, Benjamin Osborne of Jonesboro, was a relative of the woman. The woman told Officer Moore she and her family were moving into a home that Osborne was in the process of moving out of. She said the boy was sitting in the floor of the living room when the dog approached him. When the boy tried to pull away from the dog, "the dog attacked and grasped him by the throat," The dog would not let go so the woman said she had to pry the dog's mouth open to release the boy. The report states the boy had puncture wounds to the left side of his throat and both hands. The woman also suffered an injury to her middle finger during the incident. The dog was put inside a crate and the woman called 911. Officer Moore called Osborne who was in Searcy at the time. Osborne told the officer the dog was not up-to-date on rabies vaccinations. The officer told Osborne he needed to take the dog and it was likely to be euthanized and sent off for testing. 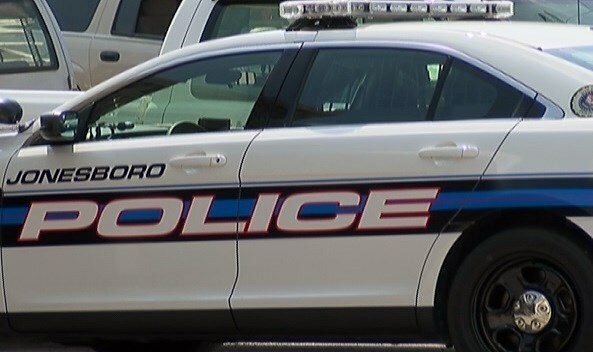 Osborne agreed to turn over the dog and meet with the officer once back in Jonesboro, the report states. Another family member helped the officer retrieve the dog from the residence in the 2200-block of Parkside Drive. Osborne was issued citations for harboring a vicious dog and no state rabies. POLICE NOTE IN THE REPORT THAT THE SAME DOG HAS BEEN THE CENTER OF TWO OTHER INCIDENTS IN JULY 2009 AND JULY 2013. Even though the pit bull wasn't vaccinated for rabies, I'll bet it wasn't rabid. Pit bulls attack for no reason. It's what they do.